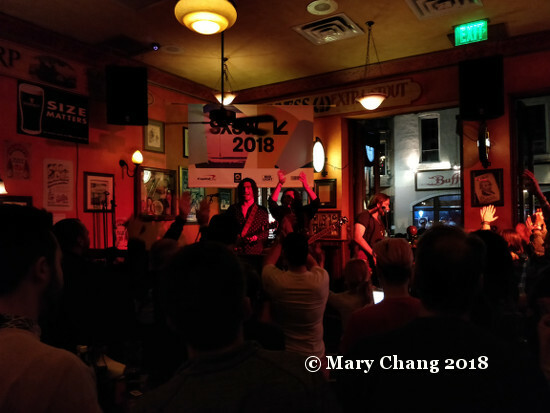 In less than 2 months’ time, The Academic will be returning to Austin for their second SXSW, and with a major career achievement ticked off. Earlier this month, the lads from Mullingar in the Irish midlands released their debut album ‘Tales from the Backseat’. The LP has proved so popular in their home country, it knocked major label giant Ed Sheeran from the top of the Irish official album charts. Give it a spin, and you’ll find there’s enough here to keep your toes tapping for days and a smile on your face. Single ‘Different’ is not a new song for the band, having appeared on their 2015 EP ‘Loose Friends’. Its energetic brashness, then and now, is impossible to ignore. 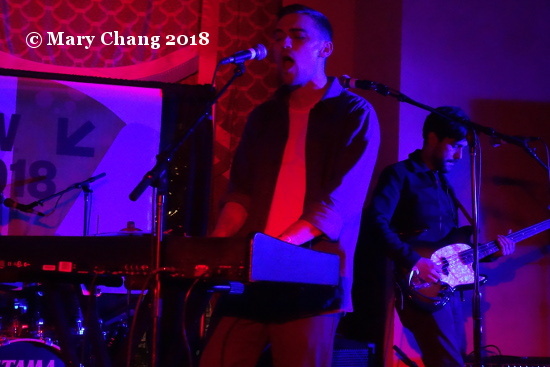 The album version is more polished: with more layers to love than in its previous guise, the touch of album producer Tim Pagnotta (Neon Trees, St. Lucia, COIN) on this track and the rest is one of the keys to this record’s success. Lyrically, like One Direction’s ‘What Makes You Beautiful’, it’s a tale of empowerment, a boy telling the girl he likes that she’s unique and that’s what makes her special. The updated ‘Different’, currently making the rounds on SiriusXM Alt Nation and BBC Radio 1 specialist shows, is sure to inspire youngsters of all ages to dance like loons at a festival near you this summer. ‘Feel It Too’, with its driving beats and wiggly synth effects, also has a disarming edge: frontman Craig Fitzgerald admits his own vulnerability in the lyrics “…I’m your fool / I’m not so cool / you know I feel it too / you’re not alone”. The topics broached on ‘Tales…’ reflect the concerns inside the heads of four adolescents from small-town Ireland. “What’s my motivation?” Fitzgerald asks on album opener ‘Permanent Vacation’. The song conveys a young man’s discomfort of coming to grips with adult responsibilities that loom in the rearview mirror. 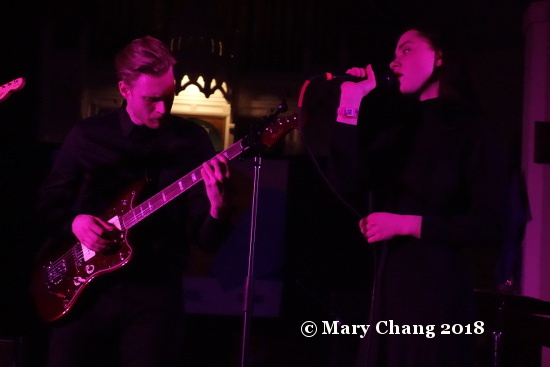 Another single, ‘Bear Claws’, has become a live favourite with its rousing “Ay! Oh!” call. Last October, the band created a first-of-its-kind Facebook Live performance of the song, using the audio/video time lag to create a mesmerising visual loop sampler. On some of these songs, The Academic wear their most important influences on their sleeve. Though the lads are no longer in need of them here in America, ‘Fake ID’ recalls the anxiety and innocence of trying to get into a club with false credentials. The words “it’s hard to act my age when I look like a 12-year old / and I hate it when I don’t get in, left stranded in the cold” are accompanied by early Two Door Cinema Club-esque winsome guitar work and bright percussion. ‘Television’ owes a debt to The Strokes, the tune’s bouncy beat and melodic guitar a nod to Julian Casablancas and co. Lest you think The Academic have only mastered one sound, ‘Why Can’t We Be Friends?’ sees them reigning in their excitement. 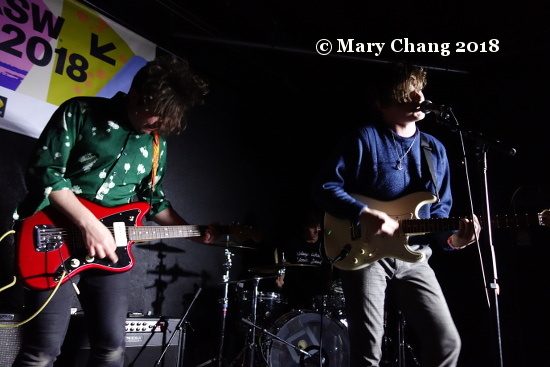 It’s a nice signal that their songwriting can veer into still upbeat but less frenetic, guitar-driven rock. What these songs lack in depth is compensated for in spades by the level of their youthful exuberance. ‘Tales From the Backseat’ reminds us that we can go back in time in our minds, to when our younger selves’ biggest worry was how to impress the boy or girl we had our eye on. Life is so complicated these days. Slow down and say hello to that younger version of yourself with this album as your soundtrack. 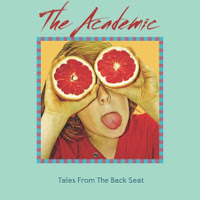 ‘Tales From the Backseat’, the debut album from The Academic, is out now on Downtown Records in America. 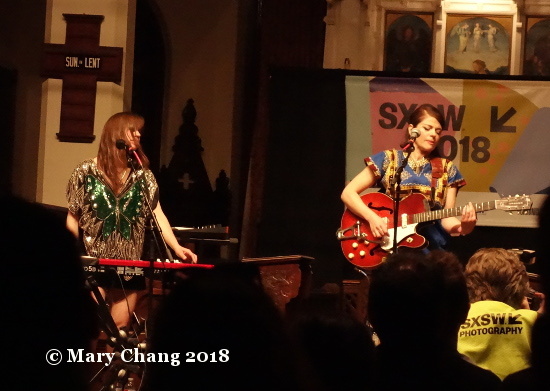 The group will tour North America starting in mid-February and continue on through to the week before they are due in Austin for SXSW 2018. Continental Europe and English live dates will follow in April. To read our past coverage here on TGTF on the Irish lads, come through.